Q: What if we have to skip a meeting? 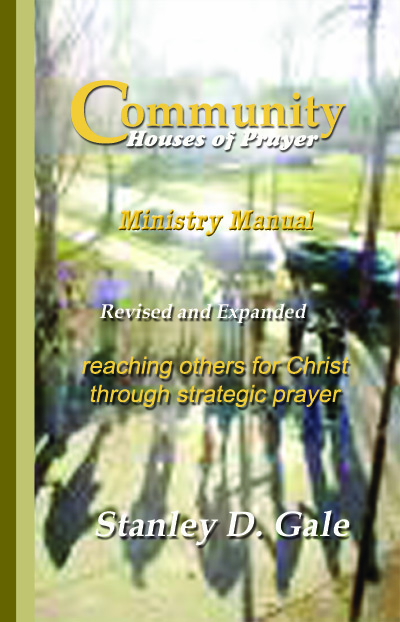 A: The participants would continue in the Daily Prayer Guide and pick up with the group meeting the following week. Q: I don’t know what to write in my prayer journal. It seems so empty. A: Writing in your prayer journal can be one of the most rewarding aspects of your daily prayer time. Not only can you record prayer requests for your contacts, partners in prayer outreach and yourself, as well as the various ways in which God is answering or has answered prayer, you can put pen to paper in dialog with God. Write out prayers, expressing to God what is on your heart about His glory, how the Spirit is convicting or teaching you, thanking God for what He is doing or simply expressing your love to your Lord. You may want to bring to God something in your life, or record an event or incident, or confess sin. There is something special about writing out these sorts of things as part of your intimate communion with your Father in heaven. It can act as a personal debriefing time with God. The added benefit is a chronicle to which you can look back to be reminded of and renewed in God’s working in your life. Q: Is writing in my prayer journal the last thing I should do as part of my daily time? A: It is profitable to make this writing a daily activity. But there is nothing preferable to saving your writing to the end. You may be full of wonder at God’s glory or working, or deeply convicted of some thing as you begin your daily prayer. Express this to your Heavenly Father at the outset of your time. Or, the Spirit may move your heart or direct your thoughts in areas you want to record while in the thick of prayer. Take up your pen at that point, all in framework of communion with God. Q: As I go through the daily prayer for my contacts, I see so much of myself in the things I am praying for them. Does that say something about me? A: Yes it does. It says you are a sinner saved by grace. It speaks to the residue of sin in your life that prompts struggle and waywardness. It is a reminder of your need for the saving work of Jesus Christ in your life and that your standing before God is always and only of Him and not of your own beauty or merit. It testifies to the sanctifying work of the Holy Spirit who is maturing you in Christlikeness. Use these times for self-examination and seeking God for continued growth. Q: How can I interact more with my daily prayer guide? A: You might pray with pen in hand. Mark up the page. You could put the day’s date, write out key words in answer to the questions, write out prayers, and list the names of your prayer targets each day. Q: I’m not sure how to go about praying against the devil’s sway in my contacts’ lives using the Scriptural profile given. A: Remember, your prayer is to God, not to the devil. You want to use the information in the Scriptural profile to form a prayer that seeks God’s aid against the enemy’s efforts. For example, Week 7/Day 1 gives John 8:44 as the profile, underscoring Satan as the “father of lies.” Your prayer might be: “Holy Father, I pray that you would open the eyes of my contacts to the truth of Your Word and to Him who is the truth and the life. In your mercy and grace rescue them from the family of the evil one and adopt them into your family.” You might also pray in this instance in light of ways your contacts have bought into the lies of the devil and invested their hope in that which is vanity. Q: Is it necessary to limit myself to 3 prayer targets? A: The 3 prayer targets derived from your life-sphere mapping is only a baseline. As the Lord lays others on your heart, add them to the list. But try not to make it too unwieldy, remembering that you want to try to build relationship with them. For example, one person started out with 3 prayer targets, but his list quickly grew to 7. It turned out that the primary impact for Christ was on the initial three, but God provided some influence with 3 of the other 4. Q: I don’t see answers. What am I to conclude? A: Faith embraces God’s word that says He hears, answers and uses prayer for His purposes. God answers in His way, in His time, in accordance with His purpose. We want to remind ourselves of these things, trusting God with our prayers, seeking to be faithful in prayer. It is not unusual to hear of God’s answers after the fact. Some have reported how God did remarkable things in the lives of those for whom they were praying, bringing some to Christ well after the CHOP or raising up other believers as influences in those contacts’ lives. Another example is of someone who had given a booklet to a prayer target to read. For weeks he heard nothing and assumed that the neighbor had just tossed the book aside. It turned out that when he asked the neighbor if he had had a chance to take a look at the booklet, the neighbor replied he had been reading and reviewing what he read, and doing so in the early hours of the day when his mind was freshest. Silence does not mean inactivity.